Here is some more information about the State Writing Assessment, I thought you might find informative. For the State Writing Assessment, the number of expected words per essay are as follows: Please note that it is my understanding that actual humans (smile!) will be grading these assessments – so the word count is just a good reference for you (as the teacher/parent). 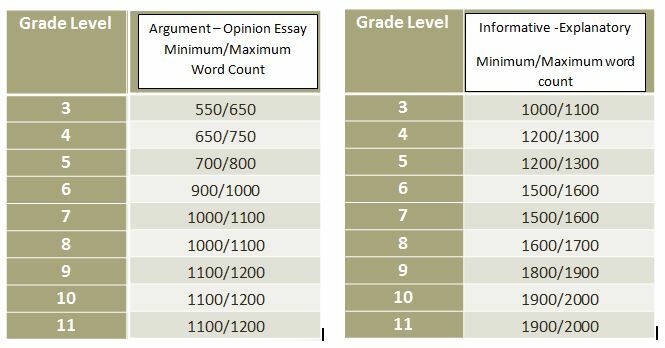 A good essay is a good essay and a student isn’t going to be penalized points for falling a bit short or going a little over.